Welcome to Lakeside Moments that sleeps 8 people. This cottage is unlike any other in the Red River Gorge area. 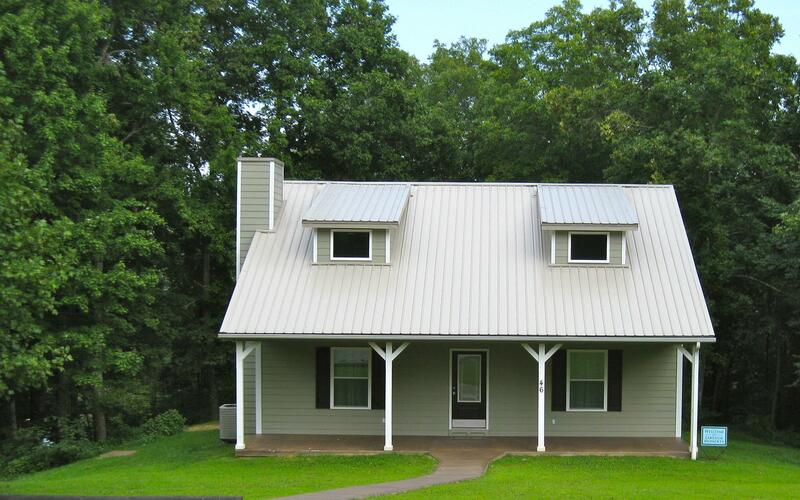 It is brand new; just completed April, 2012 with everything you could want in a getaway. It has 3 bedrooms and 2.5 bathrooms that can comfortably sleep up to 8 people with a king bed and 3 queen beds. It is perfect for families or couples wanting to get away from it all. The vaulted ceilings and 20 foot stone fireplace will give you a sense of open space, while the cozy atmosphere will help reduce the stresses of life. There are many options to choose from to sit and relax: -The covered 35 foot front porch -The covered back deck overlooking Deer Water Lake -The large fire pit in the back yard with seats to enjoy the stars, moon, and roaring fire -The brand new 6 person hot tub, located on the back deck, along with a grill, chairs, and tables. 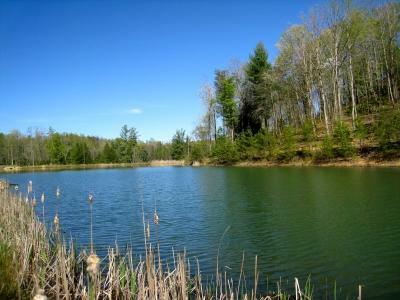 Deer Water Lake is stocked so don't forget to bring your fishing pole or your snorkeling gear to explore the spring fed waters after you jump off the private dock. Near By Attractions: 7 Minute drive from Natural Bridge State Park 2 Miles from Torrent Falls ½ Mile from the new Red River Gorge Zip Line and Jeep Tours ½ Mile from seasonally opened restaurants at Cliff View Resort. Pet friendly. with extended family. Looking forward to our next visit. The home was large enough with all the attractions fairly close to our cabin. Although the deck was wonderful it would have been nice to have a table and chairs out there. But it was a wonderful trip. We'd come from another cabin rental company that was a nightmare--we'd checked out early and called Natural Bridge Cabin Co early Saturday morning in hopes of salvaging a ruined trip. Carol and Debbie were totally understanding and got us into a perfect cabin on short notice--they save our anniversary getaway! Lakeside Moments was immaculately clean, bright and lovely, with all the right amenities and a peaceful view. Just what we wanted--we can't thank the enough for an awesome stay! Cabin was great, especially the fact it had 2.5 baths. The kitchen needs more cookware, knives, bowls and glasses. Thanks for delivering the firewood for the awesome fire pit. Love the lake! Great fishing! Clean, comfortable, fun nice cabin. Perfect family fun! Loved the house and the area. Great open floor plan and plenty of space. We also loved the hot tub and pier. Love the cabin! 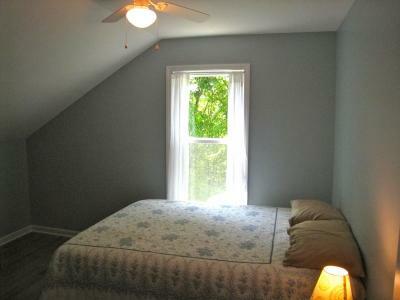 It's beautiful and clean and has wall and door hooks which many rentals overlook. The dock and lake are lovely. The hot tub is so clean and cyrstal clear! We loved our stay at the cabin. It's a beautiful cabin inside and out. It was very family friendly and very peaceful. We would recommend this cabin for others and would love to stay again!